My hands shook as I listened, and then re-listened to those words.” I finaled? The following week, an e-mail popped into my inbox notifying me that I had finaled in another contest. My kids wondered if Mama had finally taken a dive into the deep end as I “Eeeee-d” my way through supper preparations. As I receive scores, I’m learning some great things about evaluating results. Contests provide feedback in various ways. One contest sent the judge’s score and comments on my actual entry. 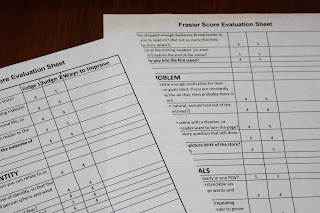 Other contests provided a rubric and a number score next to each item being assessed. Some judges left comments, others gave only the number score. 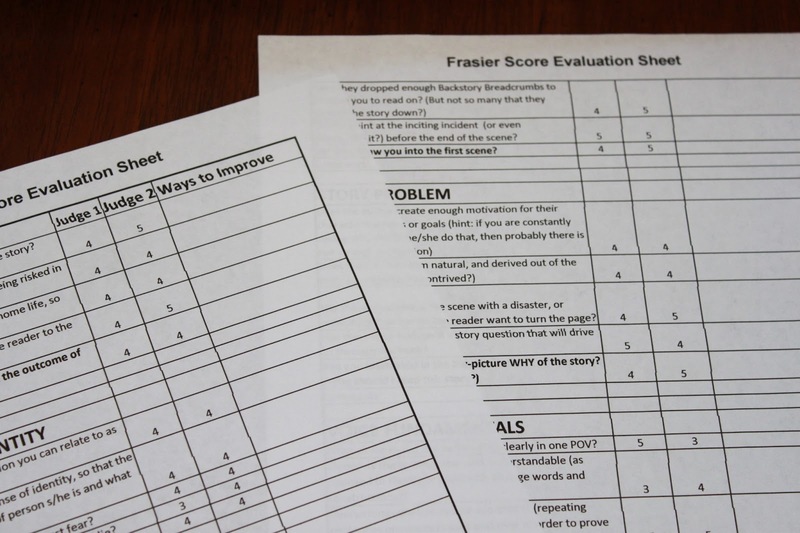 After I entered the My Book Therapy’s Frasier contest for the first time, I created a spread sheet to consolidate everything onto one page. I made a column with category and sub-category descriptions (i.e. Stakes, Hero/Heroine Identity, etc) My next column was for the scores from Judge One. The third column was for the scores from Judge 2, and the fourth column was for me to make notes on ways I could improve based on scores and comments judges offered. I know, it sounds like a lot of work, but seeing everything in one place helps me detect patterns. If both judges scored me lower in a certain category, that is a great indicator of something I need to work on. On the flip side, higher scores from both judges indicate a writing strength. When I saw a discrepancy in the scores, I talked to a mentor about them. 1. Pray before even peeking at scores. I’m guessing most of us enter contests because we want feedback on our writing. Sometimes we’re going to receive feedback that says, “Yes! You’re on the right track!” Other times, judges’ scores will be harder to embrace. The key is to ask God to help you see the gemstones within the disappointments. Take a day or so before you pore over your results. This allows you to calm down and gain some distance, so you can evaluate with a fresh perspective. 2. Identify what will help you use contest scores to better your writing skills. And, no, I don’t mean shred the low scores. You may not be an analyzer like I am, so discover what will help you take the data offered and use it to make your writing better. Maybe that means focusing on one area of improvement and setting the rest aside for a later time. 3. When judges offer positive comments and suggestions for growth, don’t focus only on the negative. Believe in your writing strengths. Even seemingly negative comments have nuggets hidden within their words. If someone says, “This story isn’t original,” you’ve just been given a great clue about a weakness. The challenge: mix things up in your story and add some sparkle. 4. Remember scores tell us something about our writing, but judges are subjective, because, well, they’re human. If you disagree with or don’t understand a score, talk with someone you trust for clarification. 5. Above all, have a teachable spirit. Remember, God gave you your story, and He’ll help you write it, with help from others. What about you? How do use contest results to become a stronger writer? Jeanne Takenaka writes women’s fiction that deals with real life issues with a heart to draw women closer to God and to those around them. She is wife to one amazing man who is her real life hero, and mother to two exuberant boys who hope to one day have a dog of their own. She loves being God’s girl always learning about His grace, making memories with her family, hanging out with friends and enjoying a great cup of coffee. She and her family reside near the mountains of Colorado. 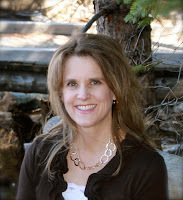 She is a member of ACFW. Lovely post, my friend! I love your idea of consolidating your results. I'll try that with my next contest! What a great post, Jeanne. Really good suggestions for how to process the amazing, helpful, and often frustratingly contradictory feedback you get from contest judges. :-) I'm just so grateful to get the feedback, though! Probably the key for me is to read it all, then put it aside for a few days and come back to it again to read it more slowly. Why is it that the first reaction always is to skim right over the encouraging words and hone in on the things they said you did wrong?!? I love the title of this post -- Learning From Contests. Yes, we want to final. We want to win. But one of the best things we can do when we enter a writing contest is learn from the feedback! LAURA--I know it's easy to skip over the positive truths and focus on our lacks. Good for you setting it ALL aside for a few days to let it "gel" for a bit. I'm with you, getting feedback, positive or negative is so helpful. HA!! You add new meaning to the work 'spreadsheet.' I use a spread sheet for everything in my writing world but never considered using one to track feedback. This is very good advice. I love the idea of a spreadsheet. I'm going to go back to some old contest entries and try to do this! TINA--you're funny. :) I'm so glad I'm not the only one who uses spreadsheets! Jeanne, I always notice your remarks over at Books and Such and I've always wondered what you write! AND NOW I see you've won contests...that is so cool! I did enter a Miss Snark's First Victim contest or two, back when I thought I was shooting for ABA instead of CBA. I've kicked around Genesis but I always seem to be out on submission around that time. I think contests would've been SO helpful before I had an agent--getting that outside, expert feedback. But I imagine you'd have to filter what the judges say, since judges, like agents, have particular tastes. What scores high for one judge might not for another. This is a great post and so helpful! Congrats again on the rewards from all that hardwork and planning. I'm not a 'graph' person, but I can see the benefit of organzing the contest info in a table. that's a brilliant idea. 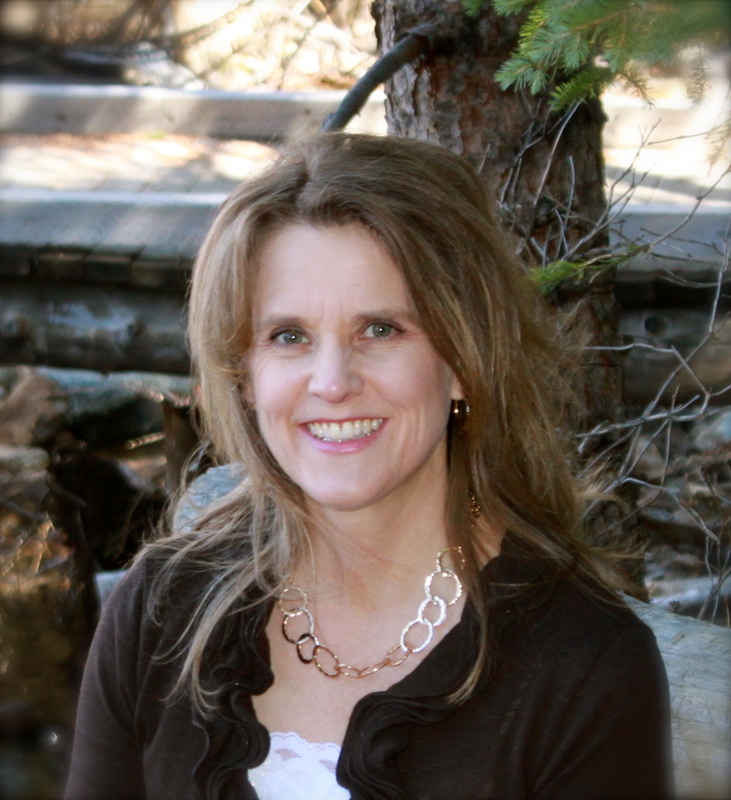 LOVE that you are our guest blogger today! And love even MORE that I had the opportunity to hug you in September!!!! PEPPER--I should have said this much earlier. Alley Cats, thanks so much for having me today. I always enjoy my stops on the Alley. I LOVED getting some hugs and sharing meals with you too. Sorry I'm so late to the party. Bit of a crazy day. Jeanne, I LOVE the way your mind works and I'm so thrilled you were able to come on the Alley today. Tina, I'm really wanting to hear more about your spreadsheets now. For some of us spreadsheets are almost up there with chocolate. Sad, what can I say, but I'm a former librarian. What great tips!!! I love the idea of consolidating all the results to compare alot easier! Brilliant! So glad to see you at The Alley!!!! Huh. I left a note earlier but it's not showing up. Great tips, Jeanne! Glad to have you here at the Alley! Great post, Jeanne! I love the idea of compiling contest results. Makes so much sense. Loved reading your bio, too! I'm probably one of the few Alleycats to not have met you in person. How old are your boys? My guys are 8 1/2 and almost 10. Ha ha, I love that - Australia days. :-) Yes, do come down under, it's totally worth it! You can come hang out at my place! I'd love to meet you. Great post, Jeanne! And great advice for getting the most out of the sometimes tedious results! Good post and great ideas! I entered a few contests last year, too, and looking at the various judges' opinions really gives you perspective on agents and editors. Just like contest judges, they have different preferences and varying opinions-- that's why we have to query widely! Congrats on your good results and your wonderful teachable attitude.